LotFancy 6 AWG battery cable set includes one positive and one negative power inverter cables. 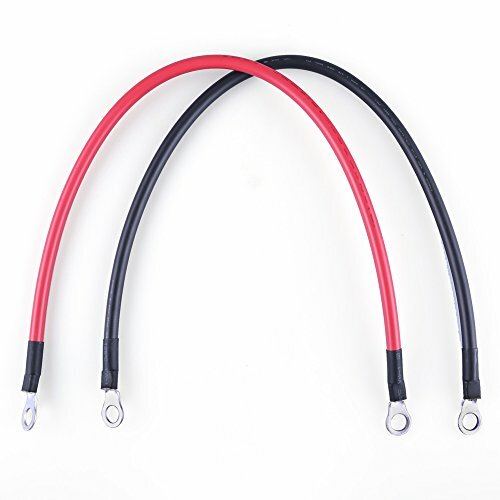 Made from 99.9% pure copper stranded conductor wire covered in a durable, high temperature resistant red PVC insulation, these OFHC (oxygen-free high-conductive copper) battery power cables maximize the performance of any power inverter. 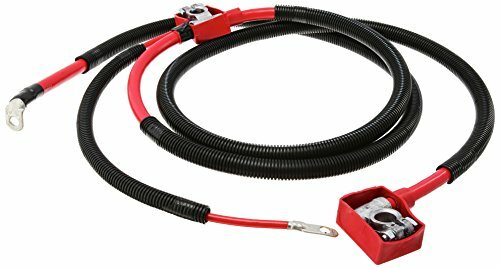 6 gauge inverter cables are often used for power applications in cars, RV trailers, golf carts and small marine crafts, also great for smaller solar cable applications. 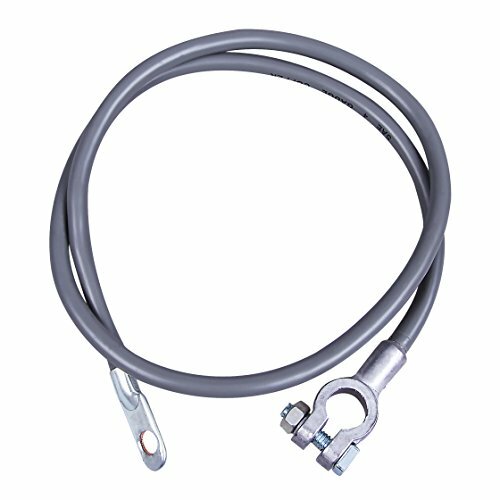 Cartman 18" 4AWG ,3/8" stud premium marine quality battery cable wire is manufactured to the highest SAE standards. Heat-resistant up to 105C dry. 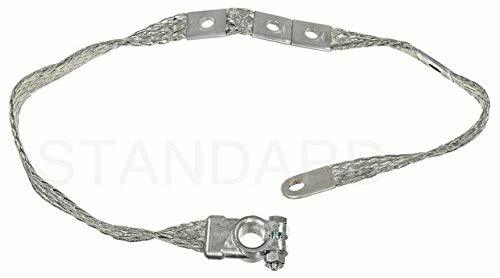 Pre-assembled with premium marine quality tin plated, 95%-copper lugs, each strand of individually tinned wire provides the greatest protection against corrosion and oxidation available. Cartman boat cable wire stays ultra flexible even in the most extreme conditions. 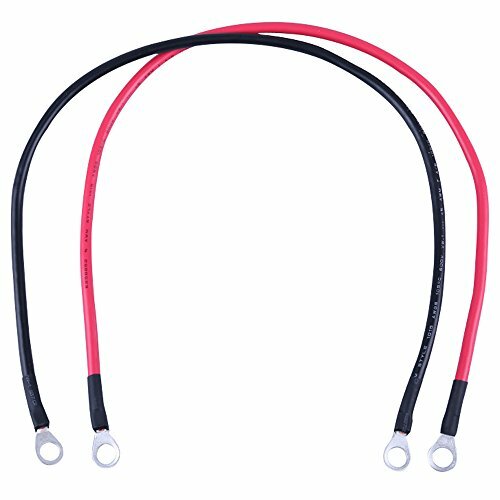 LotFancy 8 AWG battery cable set includes one positive and one negative power inverter cables. 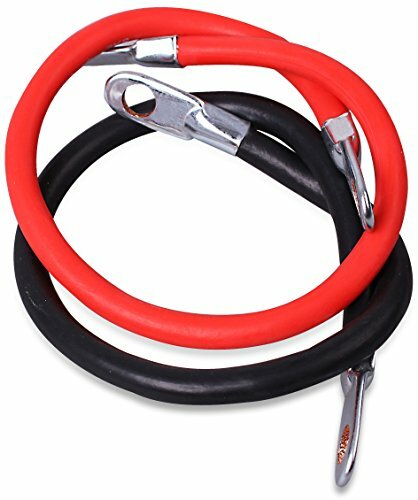 Made from 99.9% pure copper stranded conductor wire covered in a durable, high temperature resistant red PVC insulation, these OFHC (oxygen-free high-conductive copper) battery power cables maximize the performance of any power inverter. 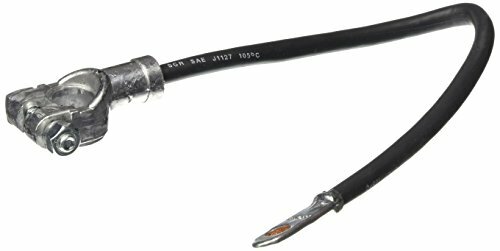 8 gauge inverter cables are often used for power applications in cars, RV trailers, golf carts and small marine crafts, also great for smaller solar cable applications. 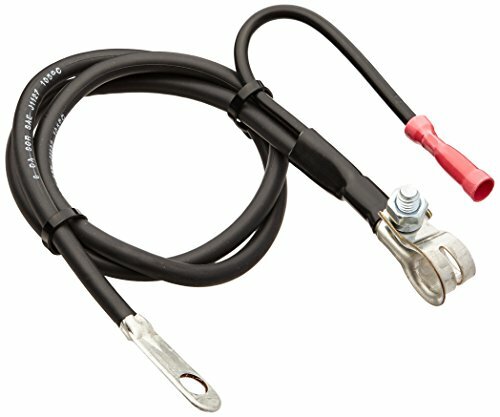 Same great UL Listed 0 gauge battery cable used in the popular Spartan Power sets. NEGATIVE ONLY. NEW CABLE ALERT! You asked & Spartan Power has delivered! 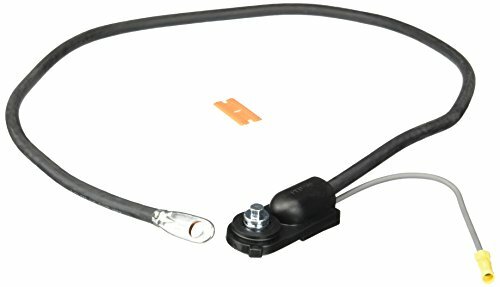 Now selling single 1/0 cable, not a set! LIFETIME CRIMP WARRANTY! 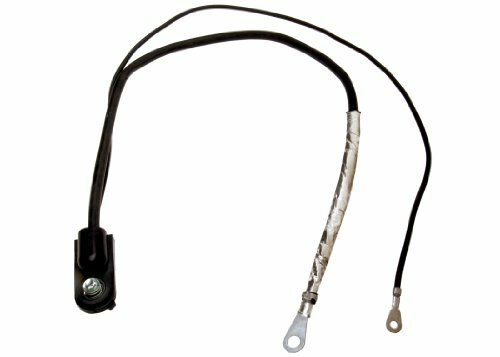 Includes one 2 foot black 0 AWG wire with 5/16 lugs on both ends. 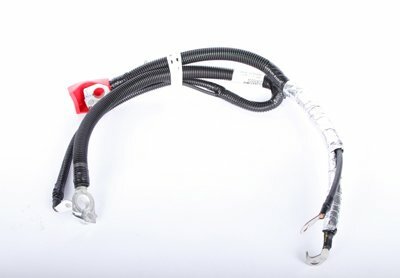 MADE IN THE USA: As always, all Spartan Power heavy duty battery cables are made in the USA! 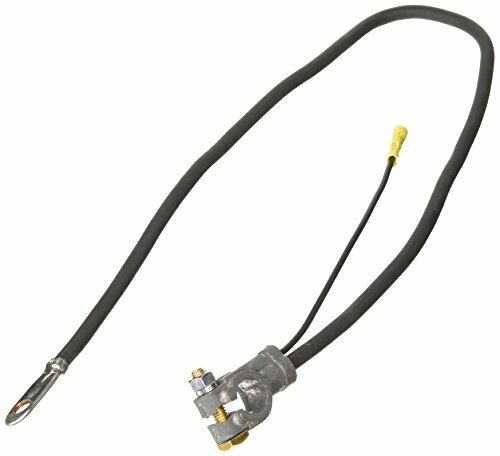 Same great UL Listed 2 gauge battery cable used in the popular Spartan Power sets. NEGATIVE ONLY. NEW CABLE ALERT! You asked & Spartan Power has delivered! 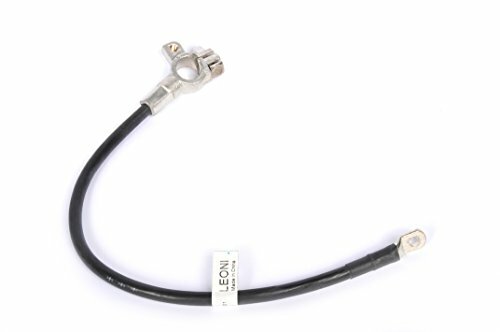 Now selling only Black cable, not a set! LIFETIME CRIMP WARRANTY! 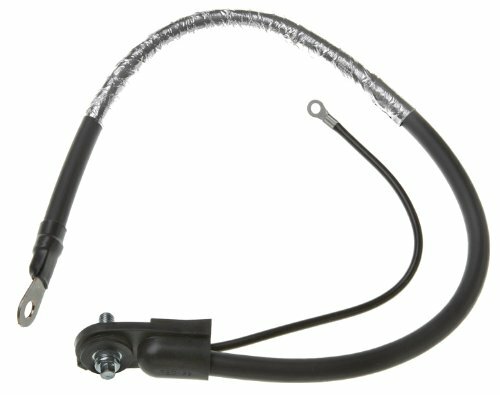 Includes one 24 inch black 2 AWG wire with 5/16 lugs on both ends. 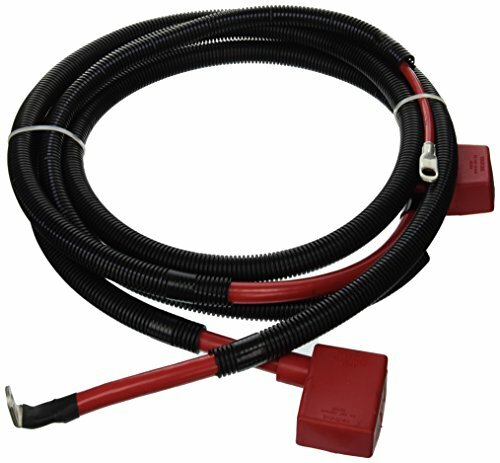 LotFancy 2 AWG battery cable set includes one positive and one negative power inverter cables. 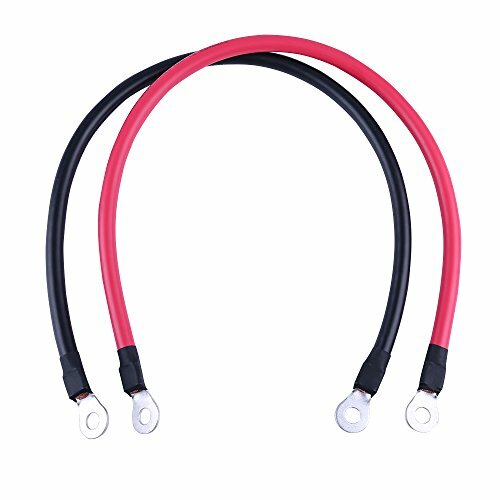 Made from 99.9% pure copper stranded conductor wire covered in a durable, high temperature resistant red PVC insulation, these OFHC (oxygen-free high-conductive copper) battery power cables maximize the performance of any power inverter. 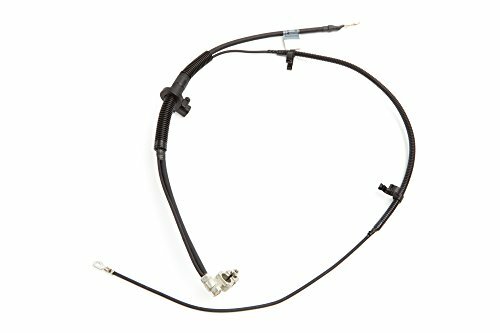 2 gauge inverter cables are often used for power applications in cars, RV trailers, golf carts and small marine crafts, also great for smaller solar cable applications. 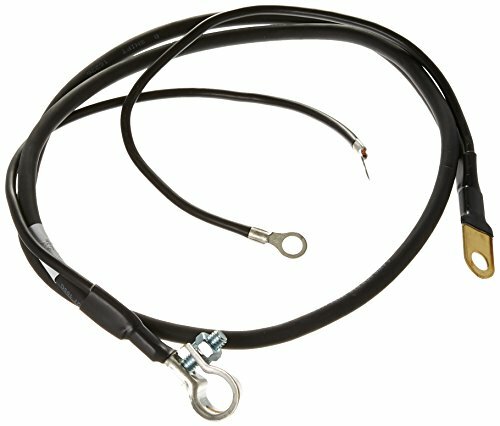 ACDelco Professional Battery Cables are the high quality replacement ideal for many vehicles on the road today. 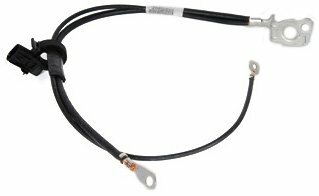 The cable core is made up of multiple strands of 99% pure copper alloy for maximum flexibility and conductivity. ACDelco Professional Battery Cables are highly conductive and their durable outside insulation helps resist harsh under hood environments. 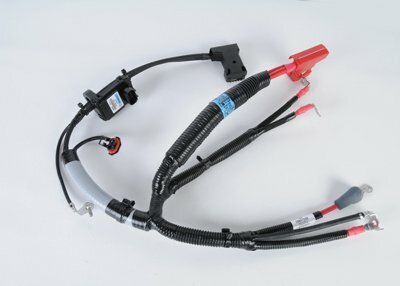 These premium aftermarket replacement battery cables are manufactured to meet your expectations for fit, form, and function. PROPOSITION 65 WARNING: Battery posts, terminals and related accessories contain lead and lead compounds, chemicals known to the State of California to cause cancer,birth defects and other reproductive harm. Batteries also contain other chemicals known to the State of California to cause cancer. Wash hands after handling. 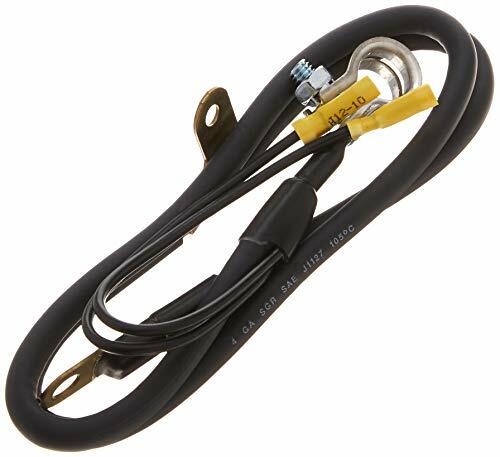 Same great UL Listed 2/0 gauge battery cable used in the popular Spartan Power sets. NEGATIVE ONLY. LIFETIME CRIMP WARRANTY! 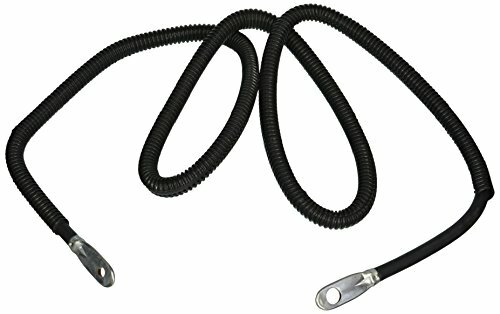 Includes one 6 foot black 2/0 AWG wire with 3/8 lugs on both ends. 100% pure copper cable has adhesive lined irradiated polyolefin heat shrink, which is exceptionally resistant to water, fungus & UV light. LIFETIME CRIMP WARRANTY! 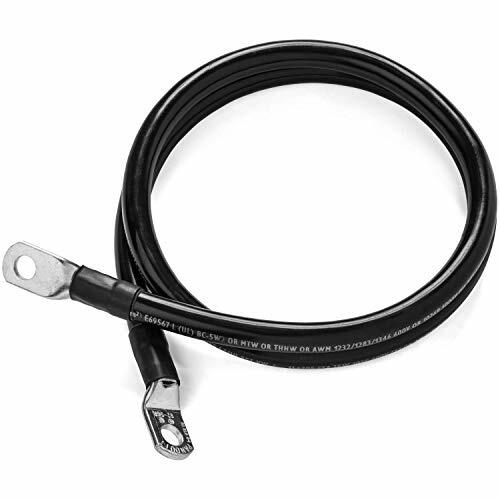 Includes one 5 foot black 2/0 AWG wire with 3/8 lugs on both ends.